A healthy smile starts at home with regular brushing and flossing. But, any good oral care routine should also include professional dental exams and cleanings. Dentists Tim Belnap and W. Brandon Jergensen provide the latest family dentistry services to maintain the health and beauty of each patient's smile. Of course, dental exams and cleanings play an important role in family dentistry treatments, helping to keep the smile at its best for many years to come. If you are ready to schedule your next dental exam and cleaning, we welcome you to contact our Rancho Penasquitos, CA practice. In the meantime, read here to learn just how important dental exams and cleanings are to oral health. During a regular dental exam and cleaning, the teeth are thoroughly cleaned and special attention is paid to hard to clean areas, like the back teeth and along the gum line. The teeth are gently scraped free of tartar, flossed, and polished. The teeth will be checked for damage, such as tooth decay or fractures, and the gums will be checked for any signs of gum disease. The tongue and other tissues within the mouth may be checked for any obvious abnormalities, like signs of oral cancer or vitamin deficiencies. Prevents plaque and tartar buildup: Plaque and tartar buildup greatly increase the risk of gum disease and tooth decay. Even with good brushing and flossing habits, it's easy to miss hard to reach areas of the mouth, like the back teeth, which can allow gum disease and tooth decay to take root. 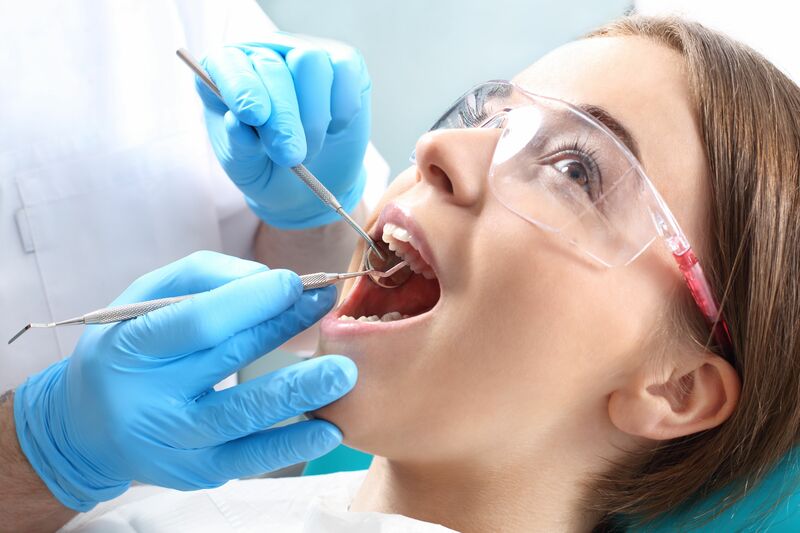 Dental exams and cleanings are effective at detecting and eliminating areas of plaque and tartar buildup and can help reduce the risk of tooth decay and gum disease. Catch oral health issues before they become severe: Regular dental exams can help catch dental damage and other oral health issues early and while they are most easily treated. Dental exams can even be lifesaving, specifically in circumstances in which signs of oral cancer are detected. Maintain a healthy smile for a lifetime: One of the best ways to maintain good oral health for life is to take care of your teeth before they become damaged. Regular dental exams and professional cleanings, combined with proper at-home oral hygiene, can help prevent damage, or catch it before it becomes severe, to help protect the smile for years to come. Saves money on dental treatment over time: Regular dental exams and cleanings can help prevent the need for costly dental treatments, helping to save money over time. Don't wait any longer to schedule your next dental exam and cleaning. Contact PQ Family Dental to schedule your appointment.